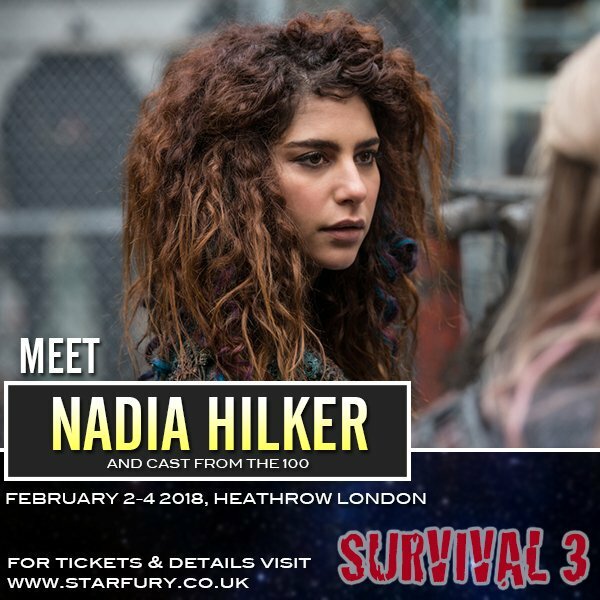 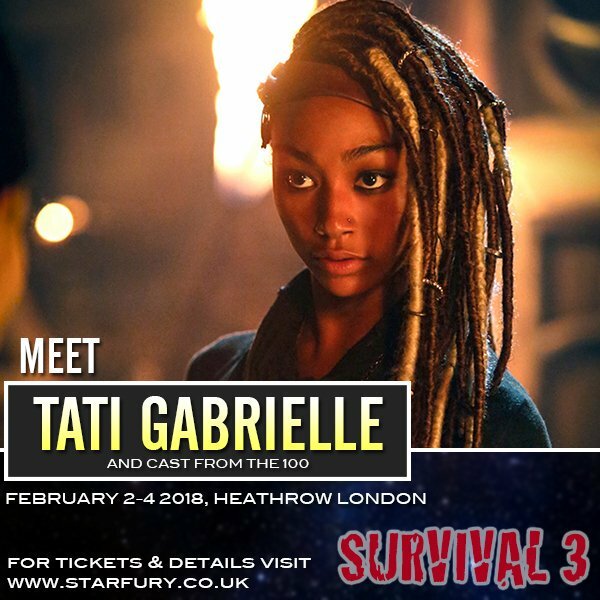 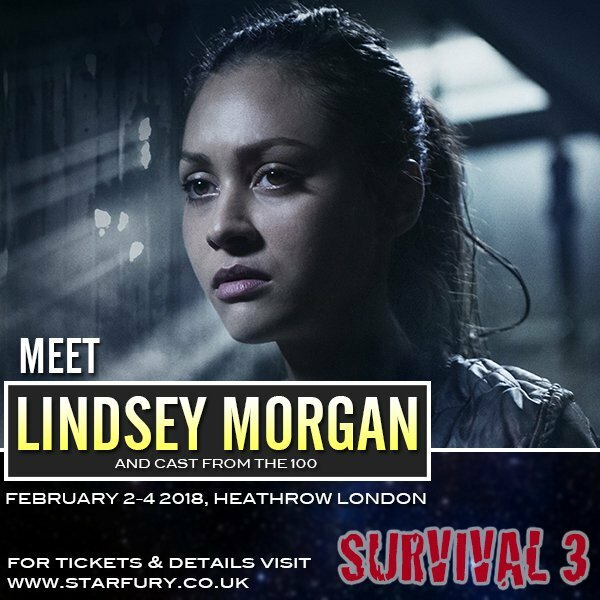 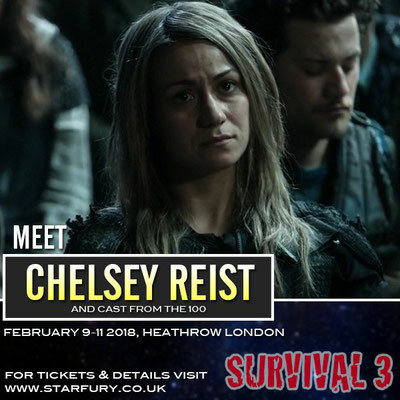 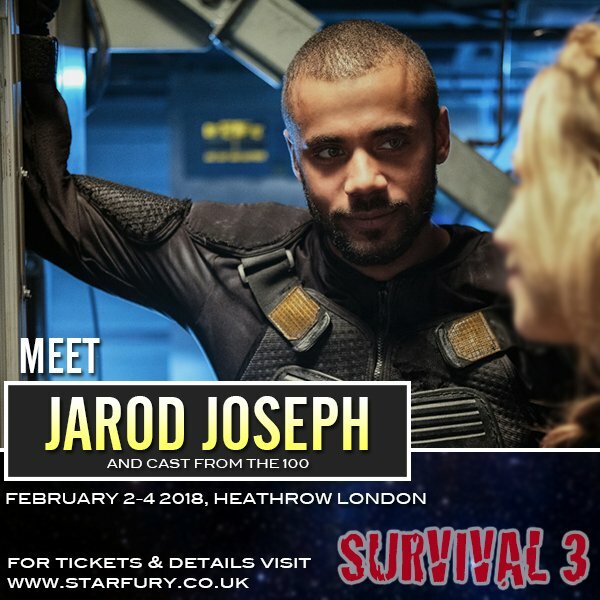 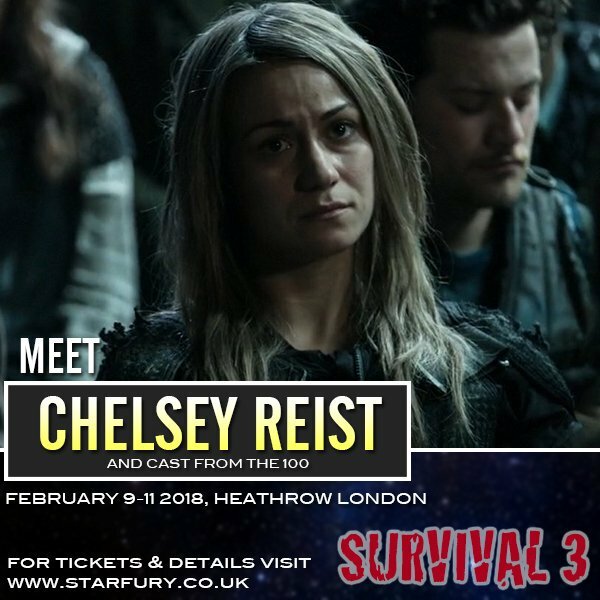 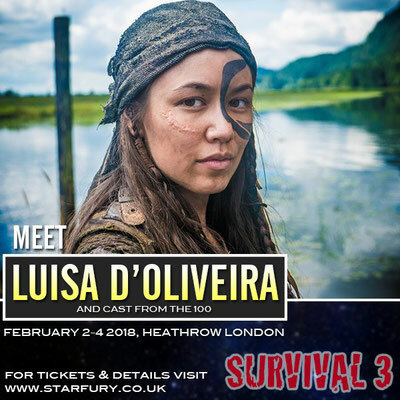 Feb 2-4, 2018 - London, England - Starfury' Survival 3 - With Lindsey Morgan, Chelsey Reist, Jessica Harmon, Nadia Hilker, Luisa D'Oliveira, Jarod Joseph and Tatiana Gabrielle. 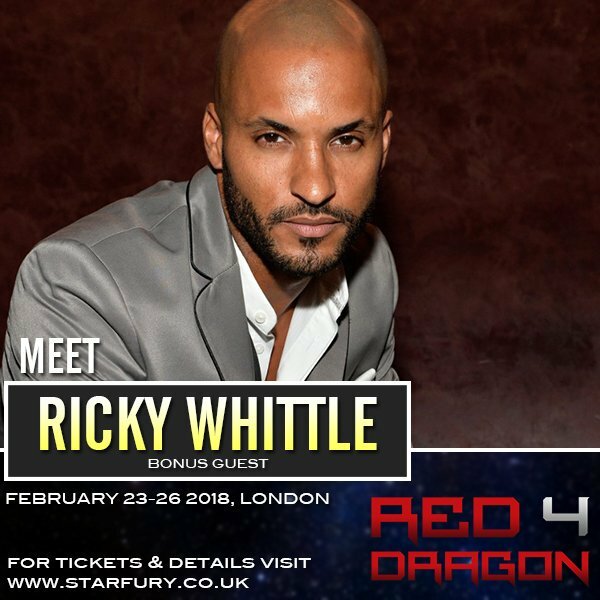 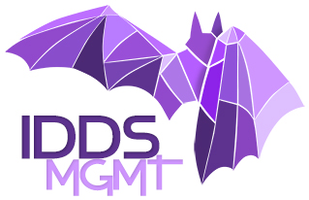 Feb 23-25, 2018 - London, England - Red Dragon 4 - With Ricky Whittle. Feb 24-25, 2018 - Paris, France - Ultimevents Space Walkers 3 - With Jarod Joseph, Sachin Sahel, Richard Harmon, Chelsey Reist, Lindsey Morgan, Jessica Harmon, Nadia Hilker, and Chris Larkin.